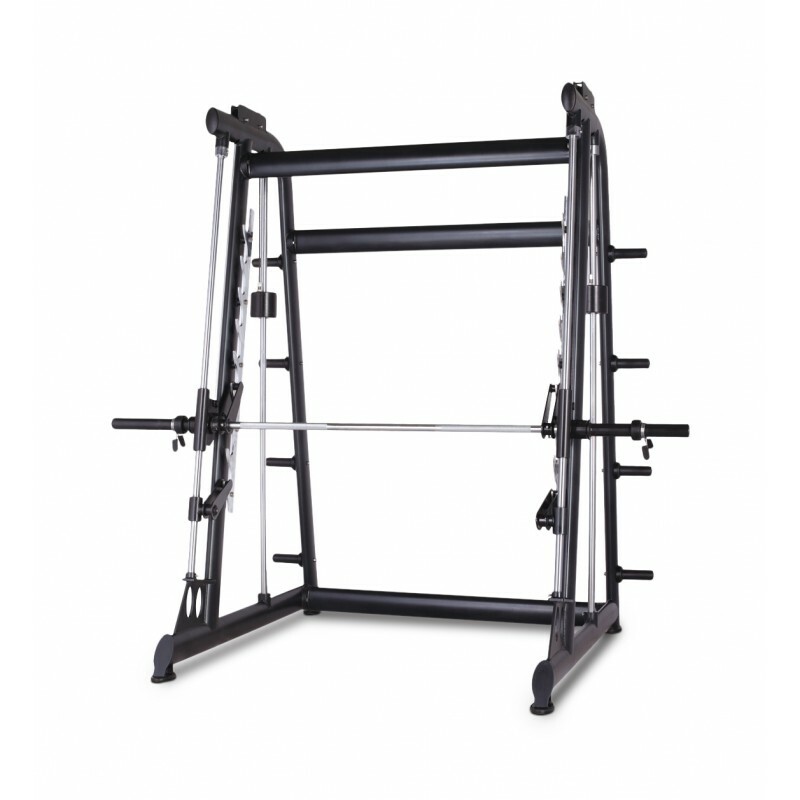 This smith machine has been engineered to withstand heavy-use in all gym environments. The frame is constructed from heavy gauge steel with end plates that are up-to-12mm thick. For improved durability and to guard against corrosion and scratches, the frame has been coated with 2 layers of high-grade powder coating that has been applied via an advanced electrostatic coating method. The high-quality linear bearing system as well as the premium steel barbell and catchers ensurs this smith machine will function smoothly at all times. Barbell motion moves on guide rails at a 7-degree angle to duplicate the natural movement of the body during squats. It alos comes with 8 heavy duty olympic weight plate storage posts so you can safely store plates off the floor and enable easy and safe access to plates for your clients. Being a Counter Balanced model, it comes with integrated pulleys, cables and a counterweight for the barbell. Dimensions:245cm (L) x 173.5cm (W) x 235cm (H). Buy Commercial Smith Machine online. If you are interested in the Commercial Smith Machine for sale, feel free to enquire above.